Building on over 25 years’ worth of experience in the marine propelling industry, Oz Propellers is the leading name for boat propellers. With a wide range all available online, complement your next boating trip with high performance outboard props and more! 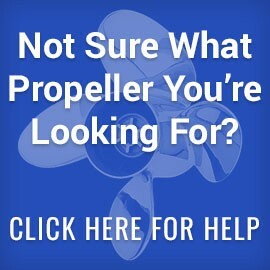 When you shop with Oz Propellers, you never have to worry about settling for less! We take great pride in the products we stock, ensuring the best quality and even better priced. So much that we’ll even beat the quote if you find a cheaper priced, identical product elsewhere! Choose from leading brands such as Mercury and Yamaha and enjoy delivery straight to your home in Victoria. Whether you’re due for a replacement or just looking to upgrade, rest assured that Oz Propellers has the best range of boat propellers for your needs. From stainless steel outboard props to aluminium and bronze makes, our selection is designed for easy use with any engine manufacture. Not sure what propeller you’re looking for? Just ask us!